Warrandyte’s home of cricket reached a special milestone when the 2nd XI took to the field in Round 2 for Warrandyte Cricket Clubs 1000th senior game at the venue. Campbell Holland’s men made history against Lilydale as the 1000th senior side to play a competitive game of cricket on the main oval. The twos rose to the occasion on a proud day for the club. Set 173 to win, they chased down the total with overs to spare and only four down for a six-wicket victory and incidentally, the clubs 470th on the WCG. It was a fitting result for the mainstay of the Warrandyte sporting community. The ground, steeped in local cricketing folklore, has seen the entire scope of possibilities you could imagine in the game of cricket. Bloods premierships, outrights, reverse outrights, no less than three 1st XI relegation saving nail-biters, several facility renovations and a who’s who of Warrandyte Cricket Club legends who have graced the green turf. The grounds history dates back as early as the goldfields era, where social games were played by locals, including Warrandyte cricketing pioneers Walter Charles Brackenbury and William Collins. Its earliest mention in publication came in an article by the Bell’s Life in Victoria newspaper about a match between Andersons Creek (now Warrandyte) and Caledonia (now St Andrews) on New Year’s Day, 1864. The game was described as being played on “the picturesque ground of the latter,” referring to the Reserve. Competitive cricket was first played at Warrandyte in 1905, when the club was part of the Cameron Cricket Association. The inaugural side found the going tough in a low scoring affair which handed them their first defeat, a reverse-outright, against Christmas Hills. A humbling beginning for the club at home but not without its positives as John Till took 6/5 in a fine bowling display, hoping to set a competitive tone for a bloods side in its infancy. The WCG has played host to cricketing royalty, most notably in the Centenary match against the Victorian Cricket Association in 1956. Warrandyte’s finest competed against a star-studded VCA side, including Australian cricketers of the day in Jack Iverson, Colin McDonald, Lindsay Kline and legendary Aussie opening batsman Bill Ponsford. Many players have spent their Saturdays on the turf at Bloods central but only a select few have really turned the oval into happy hunting grounds. The highest wicket-taker at home is none other than the mercurial Gerald Walshe, who sent 335 victims back to the pavilion over the course of his 30-year career. The White family name and Warrandyte Reserve go hand-in-hand, with legendary batsman Robert White’s 3097 runs on the ground eclipsed only by his son Adams 3178. Warrandyte stalwart Dave Mooney comes in at third on the all-time Warrandyte Reserve runs list and has graced the coveted turf the most out of any player in Bloods history, 165 times over the course of his career. In 113 years, only 55 men have had the pleasure of claiming a premiership victory on the ground itself. Warrandyte’s inaugural premiership side of 1906/07 took out the A-grade flag in a historic game against Yarra Glen. The 4th XI side of 2006/07 found success in the K-Grade Grand Final thanks in part to Josh McKellars 6/36 to take the game away from Olinda. Two years later on the same ground, the 5th XI romped to a 125-run victory against Norwood to claim the M-Grade pennant. Grand Final cricket returned to the oval seven years later when the 5th XI advanced to the J-Grade decider against Templeton, securing a tightly fought game by 10 runs after posting just 125 in the first innings, with wickets to Aaron Dean and a crucial catch at short cover for the last wicket by skipper Nathan Croft the deciding factors. A year later the 4th XI made it back-to-back WCC titles at home in the F-Grade decider, this time finding a comfortable win against Heathmont Baptist by 80 runs on the back of a Dan Wellesley century and four wickets Dean Gidley. In recent times, a fateful Jake Sherriff hat-trick at the ground would propel the 1st XI to the Bill Wilkins decider, where the “First’s” 31-year premiership drought was broken in emphatic fashion. The club started with a single team back in 1905 but just 50 metres down the road, a new chapter was written in the history of the club at the younger Warrandyte Reserve #2 with the club’s inaugural 7th XI recording their first victory, a remarkable result no-one may have predicted at the inception of the club all the way back in 1855. Nowadays, the ground is home to 10 juniors teams, three veterans sides and the seven senior teams that make up the Warrandyte Cricket Club and as of Round 2, the clubs stat-line at the ground stands at 470 wins, 368 losses, 7 ties, 51 no result matches and 104 unrecorded games with a winning percentage of 58 percent. 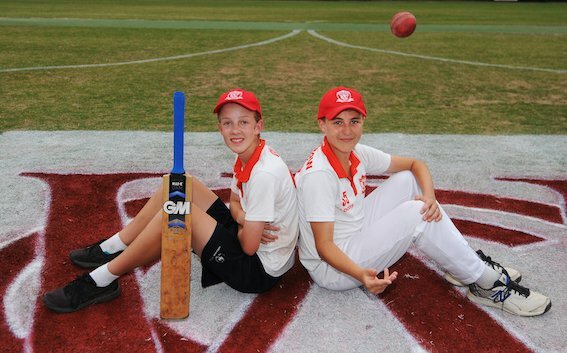 Warrandyte Reserve and the WCC have been enter-twined entities for 1000 games, and with such a strong core of players, young and old, the WCG promises to proudly remain the clubs home base for 1000 games to come.